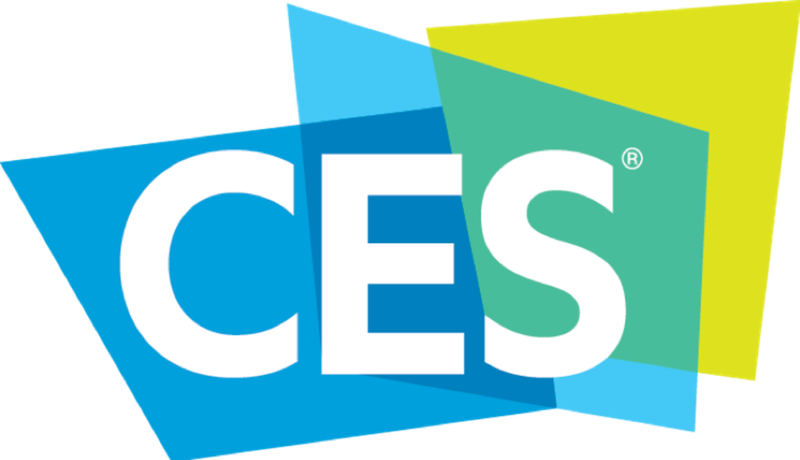 People who attend the annual Consumer Electronics Show, or CES for short, generally use the word “survive” to characterize their visit. With 4,500 exhibiting companies, more than 180,000 in attendance (exceeding last year), and more 6,500 media and analysts, the show did not disappoint. A trip to CES is not for individuals who do not like to walk: I tracked over 67,000 steps (almost 32 miles) on my Apple AAPL +1.92%Watch Series 4 during my four days at the conference this year. I walked the floor so you didn’t have to. Today I want to share my thoughts on several companies that caught my eye at the conference, all of which are doing breakthrough things in the smart home space. For many (if not most) consumers, the promise of the “smart home” is often blunted somewhat. To quote Charles Dickens, it is the “best of times” with so many “smart” solutions and options designed to solve a seemingly infinite set of household needs, but it is also the “worst of times.” Many of these solutions don’t interoperate well with each other, are difficult to install by the average consumer without professional help and are offered by companies that may or may not be in business a year from now. In short, consumers are more confused than ever despite the abundance of good, useful solutions. While Resideo Technologies may not be a household name yet, it has all the elements necessary to restore order to the smart home. Resideo has a long history in the home, particularly in the residential comfort and security categories, as it spun off of well-known Honeywell in October 2018. With 14,500 employees, Honeywell-branded products in 150 million households, $4.5 billion in sales (in 2017), and an installation history of 15 million systems a year, Resideo is committed to providing efficient, convenient, and easy-to-maintain solutions regardless of where you are in the world. Resideo’s 130+ year heritage with Honeywell is also perhaps one of its most tangible benefits for consumers. The company is in it for the long haul, giving consumers some much-needed peace of mind in the smart home. Its network of 110,000 professional contractors (augmented by 3,000 distributors and 1,200 OEMs) also addresses the “do-it-yourself” gap that plagues many of the existing solutions on the market. More than 4.7 million consumers already use Resideo’s connected solutions in their homes and are provided with regular access to intuitive controls, monitoring, and alerts. I’m particularly impressed with Resideo’s “Works with Honeywell” program that validates inoperability and supports popular products from 1,200 of the leading worldwide smart home OEMs. This is refreshing and flies in the face of the irritating “walled garden” approach that you see many smart home providers take. Resideo is no slouch in the innovation area, as evidenced by its slick-looking Honeywell T-Series Smart Thermostats announced at CES 2019. These devices provide innovative wireless smart room sensors and effectively extend the reach of the traditional thermostat by measuring temperature and humidity. This helps the system balance hot and cold spots in the home, optimizing sleep comfort and maximizing energy savings. I expect that Resideo is going to be a disruptive force in the smart home, and 2019 could be a breakout year for the company. Consumers should find comfort in the well-established company’s ability to deliver affordable, easy-to-use solutions geared towards inoperability and convenience. One of the more intriguing meetings I had at CES was a discussion with the executive team at AerNos, a San Diego-based startup focused on offering smart technology that helps ensure air quality. While the human body is incredibly resilient, the fact is that we are all exposed to air pollutants and gases every day that can have both short-term and long-term effects on our health. The mission of AerNos is to take the guesswork out of assessing overall air quality. For the past 20 years so, several companies have offered inexpensive carbon monoxide detectors for the home. The downside of these solutions is that you need to place one of these devices in every room of the home to be truly effective. In addition, these devices tend to be binary in their functionality—you only get alerted when carbon monoxide levels became dangerously high. Even lower non-lethal levels of carbon monoxide can be hazardous over long periods of time. AerNos’s incredibly tiny smart sensors can be utilized in small form factors (down to 3mm x 3mm) and consume exceptionally low levels of operating power (under 2 mA), which make them very battery-friendly. The nano-based sensors are designed to detect multiple targeted airborne gases (including but not limited to carbon monoxide) and volatile organic compounds (VOCs). These sensors can be integrated into a variety of Internet of Things (IoT) devices, such as appliances, smartphones, clocks, and other standalone devices in the home, and can detect toxins, provide predictive analysis, and take the appropriate actions to mitigate exposures. AerNos also maintains a cloud data platform for aggregating this data that can be calibrated and homogenized across broad geographies and devices. 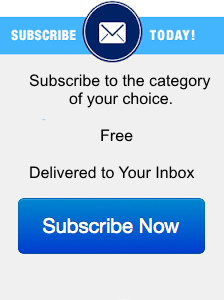 This could be incredibly useful to city planners, transportation entities, and other businesses. AerNos offers a fascinating glimpse into the potential of the smart home and its most important mandate: protecting the health of the people inside. Since last year’s CES, Lenovo has stealthily become a potent force in the smart home, building some great Google GOOGL +2.19% Assistant-based speakers with integrated touchscreens. At last year’s conference, Lenovo announced its Smart Display lineup of 8” and 10” screens with integrated Google Assistant functionality. In my opinion, Lenovo’s products are exceedingly attractive and thoughtfully designed. One could easily see them sitting on a nightstand in the average consumer’s bedroom. Not resting on its laurels, Lenovo used CES 2019 to announce its Smart Clock with Google Assistant, an alarm clock for the bedroom or office desk. Shipping in the spring timeframe and affordably priced at an MSRP of $80, it’s appealing for several reasons. It doesn’t have a built-in camera–you can view video content from other connected cameras (e.g. a Nest camera or other compatible device), but you won’t have to fret about the device being used to peer into your boudoir. The device also has several helpful features that make it appealing to use as a conventional alarm clock. It has a gentle wake-up mode that allows the 4” clock face screen to gradually get brighter 30 minutes before your alarm goes off, and it can be used to stream video content from a Chromecast-based device. While its sound quality won’t make you forget about a Sonos or Apple HomePod speaker, it’s quite good given the compact size of its clock radio-based form factor. Encased in a trendy gray cloth fabric, it also has a USB port on the back which can be used to charge your smartphone and a physical mic on/off button. With its Google Assistant functionality, it works with over 10,000 products from 1,000 partners and brands. I encourage you to check it out if you’re looking for an unobtrusive “smart clock” solution for your bedroom or office. You couldn’t walk 10 feet through the halls of the Las Vegas Convention Center at this year’s CES without passing a booth offering wireless headphones. As I’ve written before, there are so many very good “over the ear” wireless headphones on the market (often without any meaningful differentiation) that it’s hard to get excited about new models. That being said, Dolby’s new Dimension headphones are indeed something to get excited about. I’ve been wearing them for the past month and they truly are unlike any other headphones I’ve used. Dolby, of course, is a legendary company in the professional entertainment arena and has a spectacular reputation for offering best-in-class audio and video entertainment in theaters. With that in mind, I had high expectations for the Dolby Dimension—especially given their unusually high MSRP of $599. First, let’s get a few minor complaints out of the way. The Dimension headphones are really not designed for travel—they don’t fold up and are a bit annoying to pack. I also found their battery life to be a bit disappointing compared to my trusty Bose QuietComfort 35 (though, to be fair, the Dimensions come with a very convenient desktop charging stand that most others lack). Where Dimension really shines is for use in your home, connected to your phone, notebook, tablet, or TV. Granted, wearing headphones at home isn’t the most natural usage model, since people tend to get distracted or interrupted by others. To combat this, Dimension has head tracking functionality that enables audio to sound like its being directed from a static location like a television. 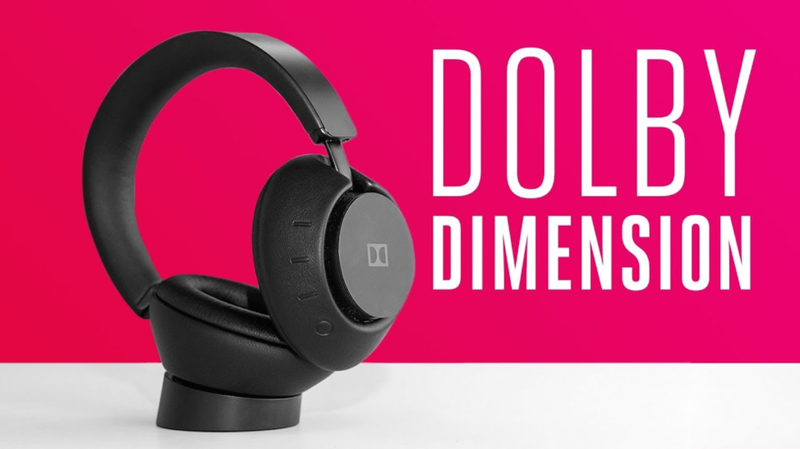 The Dolby Dimension, which supports pairing up to an impressive total of 8 devices, can rapidly switch to other connected devices via buttons on the right earcup. The feature I love most though (and love is the appropriate word) is its LifeMix system, which permits you to listen to content while still being able to hear your surroundings. It’s quite an amazing feature and it truly differentiates the Dimension from other wireless headphones on the market. The accompanying iOS or Android app allows you to toggle the audio enhancements, manage devices that are paired, and tweak the LifeMix level. The Dimension automatically mutes sound for an incoming phone call if you’re paired with your smartphone. As for the sound quality, they are very good (certainly as good as my Bose headphones) but really stood out when I was watching movies (especially video recorded with Dolby Atmos). I felt immersed in a wide soundstage-like audio field, with crisp dialogue and effects. While some might be put off by the Dimension’s high price point and the fact that they are really intended for home use, Dolby should be applauded for its first entry into the market. This (albeit) narrowly-positioned solution is convenient to use at home, offers an immersive movie theater-like sound experience, and is comfortable to wear. The high $599 MSRP may limit its appeal, but if you can afford them, you won’t be disappointed. In my next CES recap column, I’ll comment on more products that stood out to me. Next time I will cover some very cool TV technologies and concepts, some very interesting console gaming peripherals, and even a consumer DNA testing service. CES is over and the fun has just started—what a great way to kick off 2019!